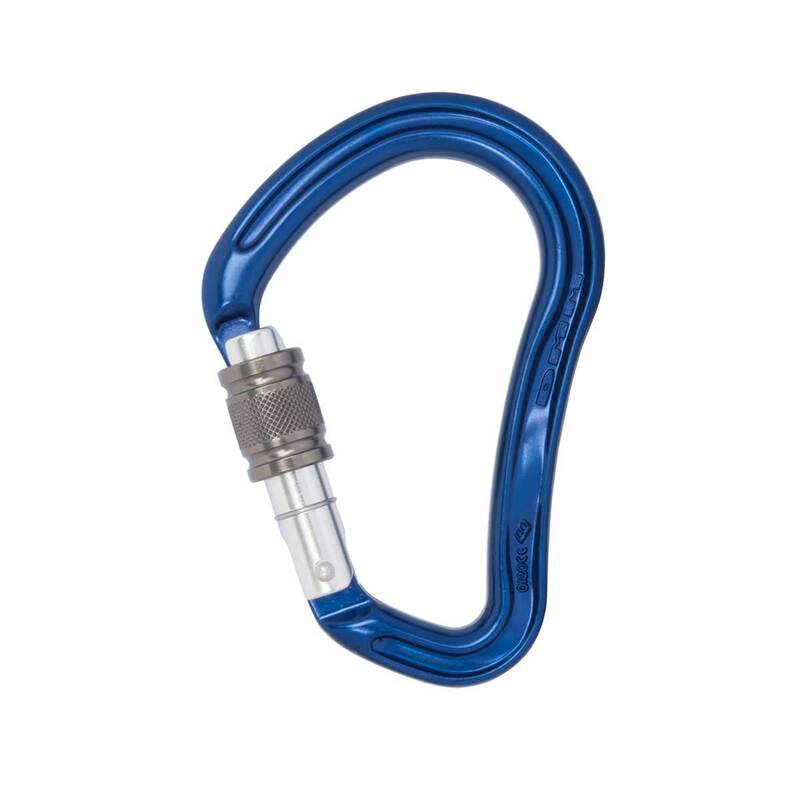 The Boa Screwgate is the ‘Big Daddy’ of lockers – the ultimate rigging biner and one which is super strong and super tough. It is large enough to accommodate several knots and has a very wide gate opening – just what you need in a rigging situation. All of which makes it a great centre use biner, but the story doesn’t end there. Despite its name, the Boa is surprisingly light; by giving it an I-Beam construction DMM managed to reduce the overall weight by almost 25%. Add in the fact that it is easy to handle in gloves and the appeal to winter climbers is obvious.